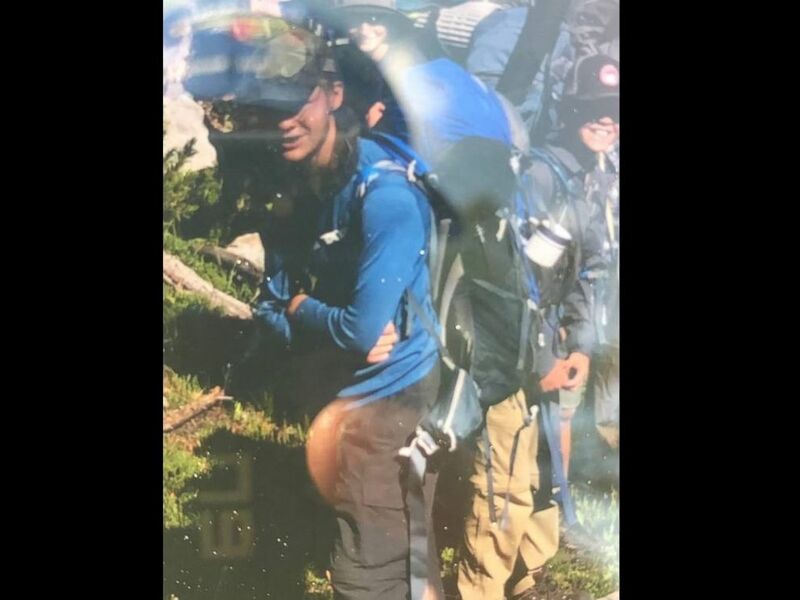 Police said they have found a Utah teenager who disappeared over the weekend while hiking with a Boy Scout troop in western Wyoming. 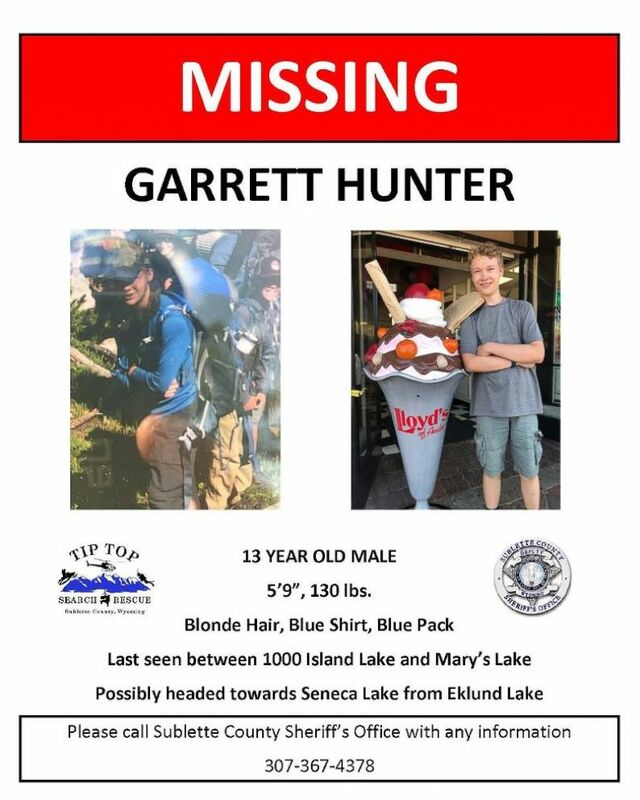 Garrett Hunter, 13, of Draper, Utah, had been missing for nearly two days when searchers located him early Monday morning, police said in a statement. "Garrett has been found, he is in good health and will stay put with volunteer searchers until morning. More to follow," the Sublette County Sheriff's Office said. Garrett Hunter of Draper, Utah, was last seen near Mary’s Lake in the Wind River Range area of Wyoming. Hunter was hiking in a mountainous area near Pinedale, Wyoming, on Saturday when he somehow got separated from his Boy Scout group, according to police. Hunter, who has Asperger's syndrome, disappeared at around 9:30 a.m. local time in the Wind River Range area, about 10 miles northeast of Pinedale, according to the Sublette County Sheriff's Office. The group, which consisted of about 20 Boy Scouts, was partaking in a 50-mile, multi-day hike when the teenager went missing, police said. It’s unknown when exactly Garrett became separated from the group. Police said they were worried that Hunter’s condition could keep him from approaching anyone for help. Garrett Hunter of Draper, Utah, was hiking in a mountain area near Pinedale, Wyoming, on Saturday when he somehow got separated from his Boy Scout group. The Sheriff's Office said “search efforts ramped up” on Sunday morning when more than 30 volunteers from Utah, including member’s of Hunter’s family, arrived to help out. Tip Top Search and Rescue, Teton County Search and Rescue, the Bureau of Land Management, U.S. Forest Service, and Wyoming K-9 Search and Rescue out of Jackson Hole had been assisting with the search, the office said.